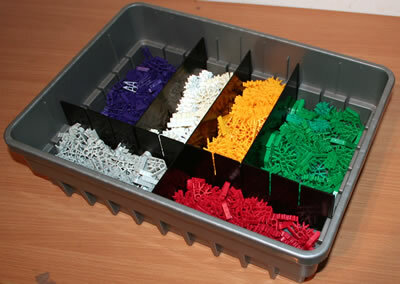 These are the parts for Micro K'NEX Roller Coasters available. All dimensions shown are approximate. The prices exclude VAT (Value Added Tax). These are all new parts - we do not sell used KNEX. Click here to view some examples of Micro KNEX coasters, or find out what the Available figure means against each part. Please note that we also have a Bulk offer on coaster track. As used in all current Micro K'NEX roller coaster sets, except those where the car is air-propelled, or the car is speeded up via a red or yellow "launcher". As used in Hornet Swarm coaster. Suitable for use in all chain-operated Micro K'NEX roller coasters. Streamlined Micro K'NEX coaster car, as used in sets such as Mecha Strike and Lunar Launch. 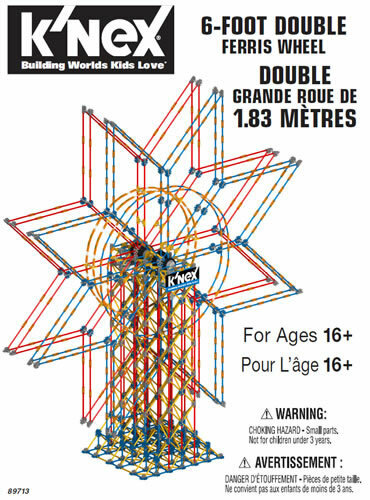 Suitable for use in all chain-operated Micro K'NEX roller coasters. The launcher enables any Micro K'NEX Coaster car to be pulled back, and then launched by rubber band power around the track. Supplied with four rubber bands. Colour may vary. As used in coasters such as the Infinite Journey coaster. 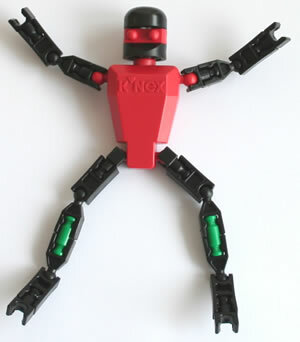 If you have bought a K'NEX Web Weaver roller coaster building set, you may find this extension pack of interest. It includes 29 lengths of Glow-in-the dark Micro coaster track, the same track lengths that were included when you bought your set. The pack will allow you to double the length of your coaster track, provided that you have the extra K'NEX rods and connectors necessary to build a bigger structure to support the extra track. As used in Web Weaver roller coaster.